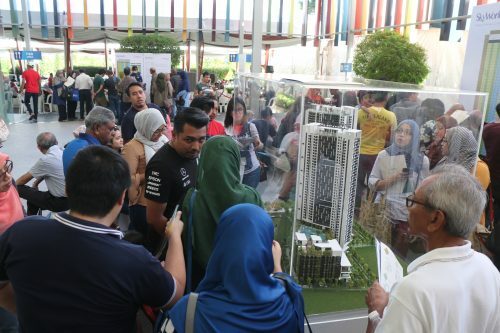 Semenyih, April 24 – Setia EcoHill has launched the Gloris Collection, its third and final phase of the Horizon Residences. 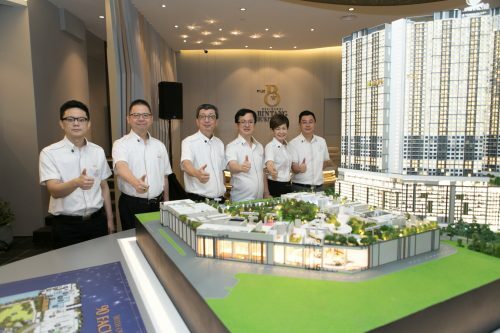 In conjunction with the exclusive weekend event, Koh Sooi Meng, General Manager of Setia EcoHill was present to welcome visitors and buyers to the preview of Club 360º, which was moderated by Ar. Boon Che Wee of GRA Architect. Setia EcoHill takes pleasure in offering valued customers and residents the 360º experience preview, complimented by an unforgettable Coffee Appreciation Workshop, which was hosted by certified trainers from Universita Del Caffee (Malaysia), a coffee training school that offers complete theoretical and practical training on all subjects associated with coffee. Mr. Goh Chee Wan who is an expert in practical coffee knowledge and a certified course coordinator from the coffee training school moderated this event segment, which was organised to promote social engagement through the trending coffee culture. Setia EcoHill prides with its extraordinary masterplan that is based on the Live Green! 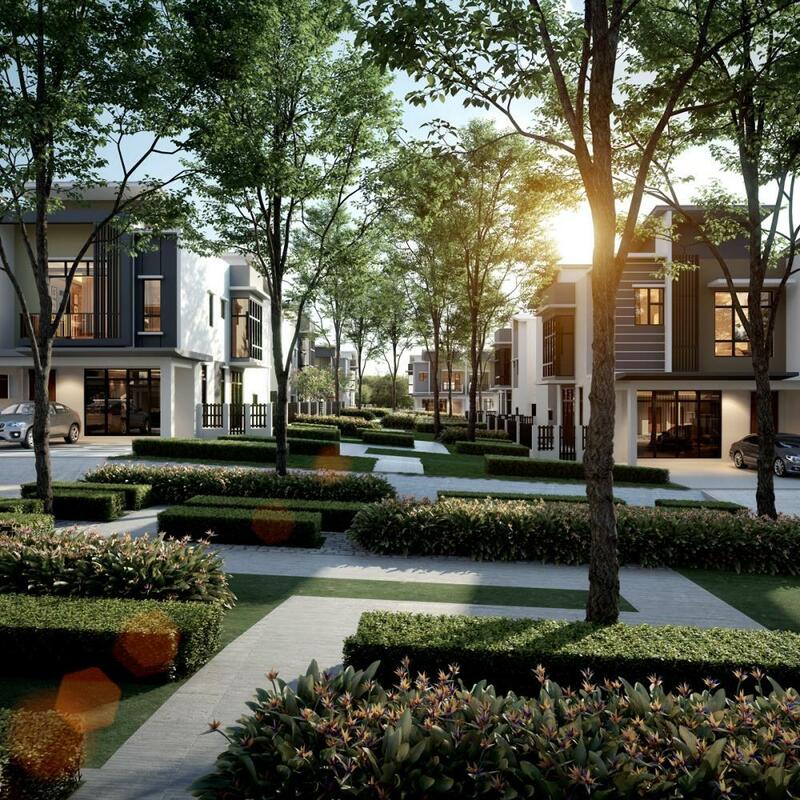 DNA, which comprises eight principles of sustainability that ensure an ideal setting for a sustainable lifestyle in Setia EcoHill, interwoven with the importance of comfort and modern conveniences. Taking into account the well-developed masterplan from the first two developments in Horizon Residences – Grandlis and Floris, the Gloris Collection is an all-inclusive residential development in the blueprint of this eco township. In efforts to create holistic living, Setia EcoHill is providing an environment and space that encourages a sustainable lifestyle. With just 77 units of homes in the freehold neighbourhood, Gloris provides the elusive exclusivity and privacy amidst the natural environment and beautifully landscaped parks. With two land size options of 23.6’ x 76’ and 23.6’ x 86’, the double storey super-link homes are priced at a reasonable from RM 848,000 onwards. These super-link homes feature a modern and linear design to appeal to a more mature yet urban market. The interior design brings outdoors into the spaces, creating a beautiful interaction between indoors and its surroundings. The high ceiling concept improves natural ventilation and reduces room temperature; eliminating the additional energy consumption for conditioning. At least 10% of the development or over 80 acres of land are reserved as green zones for parks, landscapes and pocket gardens. Generous streetscapes as well as turfed and manicured banks of engineered waterways and ponds further enhance the green concept. Linear gardens are also placed strategically between rows of residential units in the neighbourhood to promote greener living. The Gloris Collection sits within a ‘green street concept’ with all utility cables being laid underground and out of sight to allow verdant landscape and trees to flourish in the neighbourhood. Setia EcoHill places utmost priority towards creating a safe and secure environment for its residents in this gated and guarded enclave. 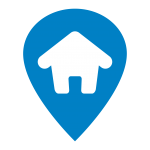 Each home comes with a home alarm system and intercom linked to the security guard house. Internal 24-hour security patrol as well as strategically placed CCTV surveillance that runs all day will also tighten security measures in Gloris. The security system is further enhanced with AgilFence Perimetere Intrusion Defense System, which is also used in Singapore’s Changi Airport. With peace of mind, residents can enjoy the township’s surrounding amenities including the 360,000 sq.ft Community Club House, also known as Club 360º. Perched on the highest vantage point in Setia EcoHill with mesmerising views, the private clubhouse is inspired by the idea of the iconic cubic lanterns. Designed to be an architectural beacon and as a landmark at one of EcoHill’s main entry point from the highway, the façade design reveals the moment of change through visual complexity, creating dynamic kinetic effects. The idea of creating a beacon of light, likened to the traditional bamboo lantern, is also further accentuated with the organic earth tones it carries. The Club House offers a variety of facilities including an Olympic-length swimming pool, a dynamic gymnasium room, steam and sauna rooms as well as an indoor sports centre with a badminton court, basketball court and futsal arena. There will also be a grand ballroom for private functions and events in the Club House. REAL Kids Kindergarten will also provide convenience for families with young children. Retail spaces for business opportunities such as the cafeteria and bookstore will also serve as additional convenience for the members of the clubhouse. 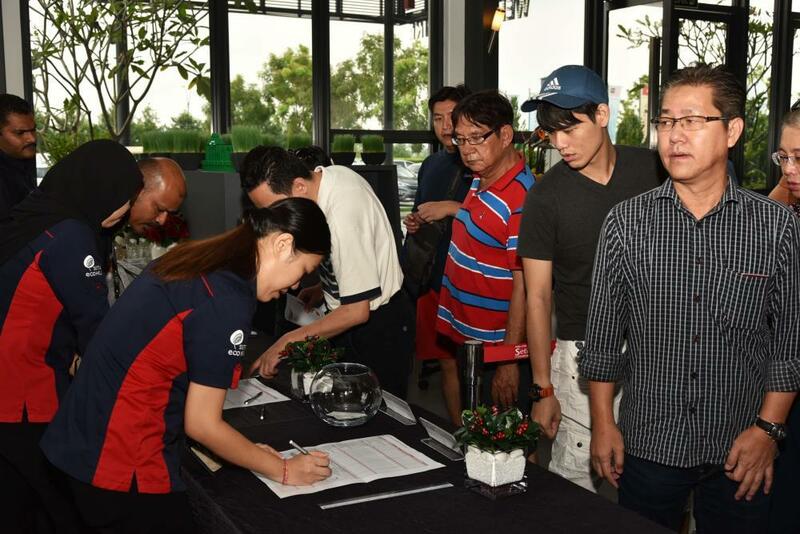 In conjunction with the launch of Gloris, new buyers will enjoy a 2-year free club membership to kick-start their journey to a healthier resort-style living in Setia EcoHill. On top of that, Setia EcoHill is also offering easy home ownership package including attractive early bird package as well as free SPA, Loan Agreement legal fees and Memorandum of Transfer (MOT). Living up to S P Setia’s LiveLearnWorkPlay development philosophy, Setia EcoHill is commited to deliver superior educational facilities in its township development. Tenby International School opened its sixth campus in Setia EcoHill last September. While Tenby International School provides a safe environment and high quality international education to the community of Setia Ecohill, plans to bring primary and secondary government schools are also in the pipeline. 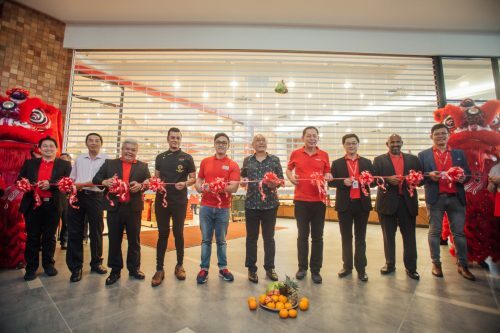 Apart from that, EcoHill Walk which is an integrated commercial project comprises the first Lifestyle Mall in Semenyih will see potential commercial growth in Setia EcoHill. 80 units of the three-storey shops that are linked to EcoHill Walk are also opened for sales now. Ground-breaking works for EcoHill Walk will start in May 2017 and is scheduled to complete by 2020. 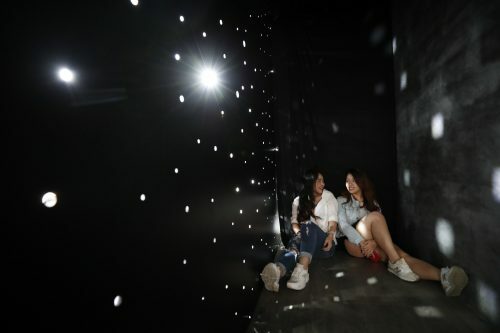 To find out more, visit www.setiaecohill.com or call +603 87242255 now! Sun Bird Walk linear garden lining the beautiful residences. Overwhelming response and excitement at the sales gallery.